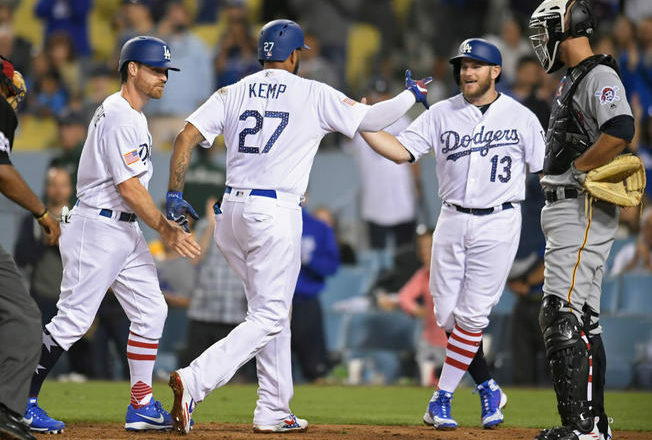 The Dodgers fly into Cincinnati to prepare for a three game series after a satisfying series win over Colorado that pulled them within a half game of first place in the National League West. The Dodgers are 78-65 and have just 19 games left to play in the regular season. With the Dodgers in the midst of a nerve racking playoff push, a popular topic these days has been the lineup choices from Dave Roberts. Chad Moriyama of Dodgersdigest wrote an interesting article this morning on this exact subject. A lot of fans, especially ones on this board have expressed disdain for many of the lineup choices from Dave Roberts. Moriyama breaks down some of the splits from the 15 Dodger positional players that receive the majority of the playing time. Note that the Dodgers still have problems hitting left handed pitching and only six of those 15 Dodgers have an OPS+ above league average against left handed pitching in 2018. Moriyama makes a lot of sense in his article. For the most part, Roberts and the coaching staff have usually made logical decisions. Notice I said “usually”. There have been some lineup choices that just don’t and never will make sense to me. There are two that stand out. This is such an easy thing to fix and something that would immediately help the team score more runs. Stop putting terrible hitters in the lineup. It sounds easier than it is, but that’s because it is. Two players pop into my head right now. Austin Barnes and Brian Dozier should never ever start another game for the rest of the season. As you know Barnes has been horrible. He’s one of the worst if not the worst hitter in baseball this season. 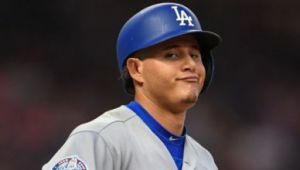 I don’t know what happened to the guy, and certainly I feel for him, but the Dodgers are in a playoff race and starting guys in the lineup that are hitting below the Mendoza line is a sure fire way to lose important games. The same can be said for Dozier. He’s a good defensive player, but has been atrocious at the plate. The Dodgers continuously bat him at the top of the lineup and I don’t understand why. He’s hitting about .190 with the club. He’s also injured (apparently), so Just stop it. Put him on the bench for now and get someone else in that can produce. Not playing automatic outs is a huge way to improve offensive performance. One other thing that stands out to me is getting the guys that hit well with runners in scoring position and move runners over into the lineup. That’s been a huge problem for the Dodgers in 2018 and something that we talk about on a daily basis. Justin Turner, Max Muncy, Matt Kemp, and David Freese are the guys that have hit well with runners on base. I like Joc and Taylor, but Kemp, Bellinger and Verdugo are my choices for the outfield. Yasiel Puig is an excellent outfielder. There is no doubt about it. Unfortunately he’s turned into a mediocre hitter who does not hit with runners in scoring position, nor move runners over. I would rather see Alex Verdugo get some more playing time. He’s a contact oriented hitter who can run the bases well. I’m not a big platoon or match-ups guy. Never been one. I prefer a set lineup. I do understand that there are some guys that have splits, or weird reverse splits. If the Dodgers do these two things mentioned above I believe that would boost their hitting enough to give them a bit of an advantage. Though the record says otherwise, the dodgers are just a mediocre, .500 club. They really are a terrible watch most of the time, even when they get a lot of hits, they constantly fail to get hits with RISP. If for some crazy reason they actually make the playoffs, they will exit the playoffs with one win, mark it down. You never know what will happen in the playoffs, but you do have to make the playoffs to find out. Starting lefty line up fails again. 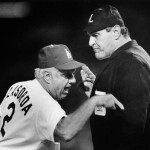 Then, our lefties come in and could not hit righties, then the next time up our lefties hit lefties. Go figure. 4-13 RISP, 20 LOB, 9 KO’s… same old story. No productive hitting. Time to stop the matchups, and play their best hand, whomever that is… I don’t know anymore. Wood, totally out of sync. Another prime example of Grandal not being able to get on the same page with the pitchers. Alex goes only 3.2, allowing 5 early runs. The Dodger Starters can only manage to go 4-5 innings… Not good enough. What has Madson done for us lately? What a “Walmart Dodger Blue-light Special” he turned out to be. Dodger FO loves to pick up old, rubber arms. No defensive support. Lackadaisical Machado, showing his true colors, botches throw to first, and Grandal needs some velcro in his glove. Sorry to say, this is not a playoff caliber team. Rather they go fishing in October, then embarrass themselves in the playoffs. Which team and lineup will show up today? Righty? Lefty? The Automatic Outs? Which Ryu will show up? The Dodger Cherub seems to call it quits by the 5th inning, anxious to turn it over to the bullpen, so he can run to clubhouse for his cookies and milk. Which Machado will show up? This picture tells it all. Seems Manny does not care reverting to his lackadaisical defensive play, and inability to hit in the Clutch. This photo reminds me of one of my bosses at work at our Christmas Gathering. He said, “Thank you everyone for everything you did to make our department tops this past year. Thanks to you, ‘I GOT MINE’ (meaning his HUGE year end bonus)”. What did we get? A measly 1% raise…. our “rear” end bonus. Manny’s face says it all…. “I GOT MINE, so I don’t care about the post season”.